The easiest and most obvious choice is to open an account at Coinbase. You will have to verify your identity by uploading a few documents. Once you are verified you can transfer money via bank transfer. If you have a European passport you can do a SEPA transfer for zero fee but you can only transfer Euros (as of this writing). If you are U.S. based you should be able to use Dollars. 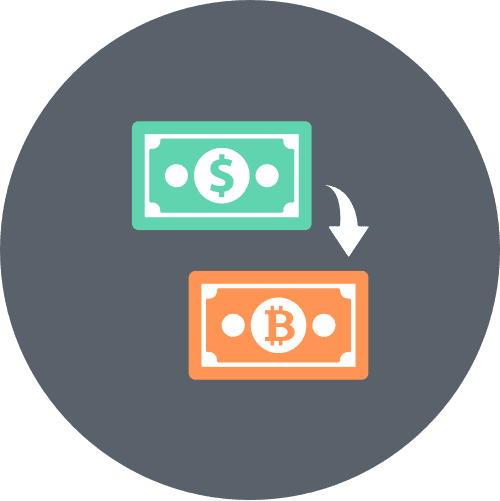 Once your money arrives you can immediately buy Bitcoin, Ether or Litecoin. There is one minor catch. There is a small fee charged on top of the spread. Not a big deal but for a trader it is a no-go. So if you are a trader you move on to Coinbase’s actual exchange, Gdax.com. You can login with your Coinbase credentials and voila you get access to normal bid/ask order book. You may need to further verify your account to trade on the exchange. One problem I have with Coinbase is that it does not allow E.U. based clients to deposit U.S. dollars. There are a lot of other exchanges one can use. I was interested in ones that are regulated in the U.S., so Gemini and itBit seemed interesting. Both exchanges look like they are setting up for institutional level, over-the-counter trading where one side could eventually be a regulated investment fund or in Gemini’s case the ETF the Winklevoss twins are trying to set up. Gemini claims a 25 BTC minimum trade, so itBit seemed better for someone starting out. Moreover at ItBit, a “maker” pays 0% fee. A maker is someone who places a limit order and waits for the market to come to him, thus providing liquidity. This sounded good to me. The process of opening the account and verifying was easy. The wire transfer had to go through 2 U.S. intermediary banks and get to the Singapore based headquarters (for non U.S. customers) and was a bit complicated. Surprisingly, it did go through in less than a day and the fee was a reasonable $10 flat. Itbit does not have a fancy UI in terms of trading charts and other goodies and only supports Bitcoin trading in U.S. dollars, but it seems safe. One thing I am starting to see is that one never really know who is safe, so as always, it is best to diversify. Another exchange that has large U.S. dollar volumes is Bitstamp. It usually carries a better price on BTC/USD than other exchanges and is also one of the few exchanges that you can buy Ripple with USD. Coming from a traditional investing environment, there are some glaring realizations as one starts the investment process in digital assets. Cryptocurrency exchanges have very high fees compared to stock brokers. At 0.25% commission, a $10,000 trade costs $25.Compare that to a $5 commission that most online stock brokers carry. There is no insurance for non-U.S. investors. It is an accepted reality that someone can hack an exchange and cause you to lose capital. Like walking into a bad neighborhood with a fat wallet in your back pocket: If someone holds you up, no one feels obliged to apologize to you but rather your loss is seen as the cost of doing business in that particular neighborhood. Bitcoin (BTC) is the new dollar in the crypto-world. Many Altcoins are quoted in BTC rather than in U.S. dollars. Some of the biggest exchanges (example: Poloniex) do not deal with ‘fiat’ deposit/withdrawals and only accept BTC in and out. So to trade any Altcoins in the crypto world, first you have to convert to Bitcoins. I have been trading a number of cryptocurrencies over the last year on Kraken exchange, it allows multi currency deposits and trading, volumes/liquidity are good and costs are reasonable. I have had no issue with payments out of the account or deposits into my wallet from mining revenue. Got lucky being long BTC during the big run-up recently and now actively trade the daily range. Although I trade Algo in futures and TAA in ETF’s with bulk of my equity I have found these markets an extremely interesting marketplace and the more I understand about the technology the more convinced I become that this is going mainstream. Thank you Tony for the feedback. Kraken is one of the exchanges I am considering so real experience from a trader is always useful. I also get a sense these markets are trying to go mainstream. It’s not so much the price movement that attracts me but the fact that the market is becoming regulated, insured and starting to cater to institutional investors.